For many people, a sandy beach and a vast expanse of water is the embodiment of a perfect holiday. Nothing can compare with the delightful ocean surf. Interesting places there is a huge number, and where you can relax by the ocean, you will learn below. It offers the beaches of Palolem in Goa. It attracts huge number of young people from around the world. Palolem beach is a Paradise and one of the most popular and desirable tourist destinations. The beaches here are dotted with palm trees, soft sand, and warm waters. 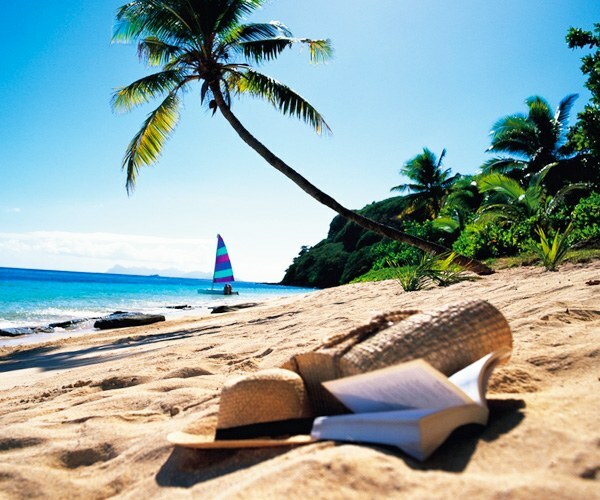 The entire atmosphere of Goa is conducive to relaxation and relaxation. The prices are not very high by world standards — budget. It is best to visit here from October to March. If you do not want to Goa, go to the Maldives. Here are great beaches, Nika and Soneva, Cocoa Island, Banyan Tree. To get to these fabulous places people can relax on one of the virtually uninhabited small Islands of the Indian ocean. In addition to the stunning beaches, people here like diving and snorkeling. For a romantic getaway better than you can imagine. It is advisable to get here in the months of November to April. Another place where it is necessary to look — it's Mauritius. The local coast is famous for luxury hotels, and coral sand. The island is protected on all sides by coral reefs. Best beaches includes: Paradis, Trou aux Biches and Flic en Flac. April to may is the best time of rest. From December to March is the ideal diving conditions, from June to August is the time of surfers. Family vacation perfect for the Seychelles. There are wonderful beaches of Praslin and Anse Volbert with clean fine sand. Coast embellished branched trees takamaka beach and granite rocks. Hotels here and almost all have private pensions, designed for a relaxing stay. To ride on yachts or Windsurfing, the time from may to October. For diving, choose a time from September to November or from March to may. In Portugal, the Atlantic waters, you can relax in the Algarve on the beaches of Lagos, Albuferia and Ilha de Tavira. There are a bustling port city, and the soft coastal Sands. Best for stay to choose the time from may to October. Prices for housing here are different, basically all around expensive but if you want you can find and not very expensive hotels. If you wanted something unusual, choose the Canary Islands, La Gomera island. It differs from many of the other Canary Islands. Here you can feel peaceful, relaxed. Tourists come here for the coastal volcanic black sand, calm surf, and isolation from the civilized world. From November to may is the best time. Most of the people here is at Easter and Christmas. A lot of people resting on the beaches of Africa, stretching almost along the entire coast. The most popular destination here is the city, perhaps because something like the South of France. Vacationers here will see a lot of grass, shady palm trees and amazing light brown sand. Many restaurants and bars, places to picnic, fresh and pleasant wind — what else is necessary for happiness. It is best to arrive here to rest from October to March. Another fantastic place on the planet is Fiji. Or rather, Yasawa Islands, consisting of a chain of Islands that are part of Fiji. Amazingly beautiful coral sand, bright blue water — exactly what these places are chosen by different kinds of Directors for their colorful videos and movies. Relax in Fiji is quite expensive, since in addition to the main traveling, additionally you have to swim to the island by boat or fly on a plane. If you can afford it, to visit here from may to October. The best and most expensive beaches of the Pacific ocean are on Bora Bora, in French Polynesia. For example, around the beach Matira nature has created a natural protection in the form of coral reefs, so the water in the Gulf is very warm and always calm. There are no sights and activities that only a beach holiday. In late summer it's too crowded here, but still the best rest time from may to October. Look at the huge boulders sticking out of the water and coral reefs in Palau, on the beaches of The Rock Islands. Year round warm waters and soft sand. Special attention deserves the aquatic fauna, as it is quite diverse. Because of this, divers around the world dream to visit The Rock Islands at any cost. Local Isle Mecherchar famous for its jellyfish lake — there are plenty of them and it looks fantastic. The best time travelers are the months of February to March.